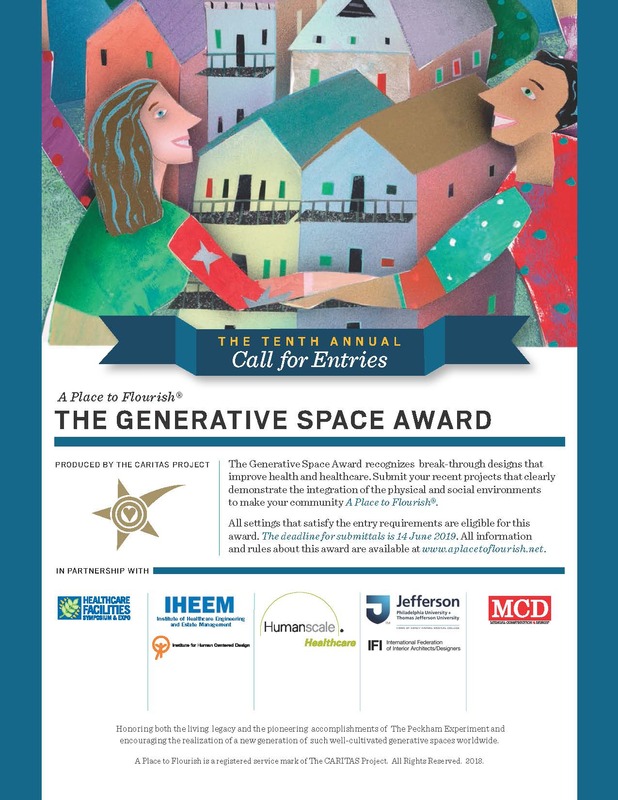 The Generative Space Award recognizes breakthrough designs in health and healthcare. It is a product of The Caritas Project's A Place to Flourish initiative. The Caritas Project is an organization founded and headed by Dr. Wayne Ruga, a world-renowned architect, scholar and visionary. Their mission is to improve individual lives through the design of environments that create a place to flourish. The 2018 Award was presented at the 2018 Healthcare Facilities Symposium & Expo (HFSE) to Unity Health Care, Gensler, and Sunbrella for the Unity Health Care Brentwood Waiting Room remodel. Unity Health Care (Unity) is a network of community health centers that provides care to underserved communities in Washington, DC. To better serve one of those communities—the Brentwood neighborhood, in Northeast DC—Unity turned to design as a tool for creating transformational experiences. That led them to partner with global design firm Gensler, and fabrics company Sunbrella Contract, which served as a research partner. Together, the three organizations initiated research on the registration and waiting experience, which led to valuable key findings and targeted design interventions that helped the facility to better serve patients and visitors, enhance the staff experience, and strengthen bonds with the Brentwood community.